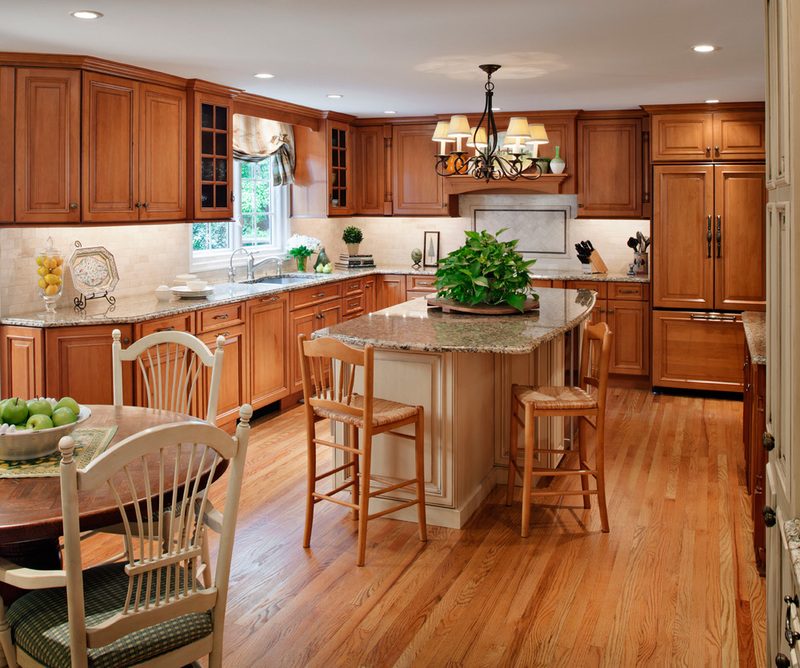 Our team worked within the limitations of a short ceiling height in this kitchen to create an elegant design featuring a two-tone cabinet look and custom hood. 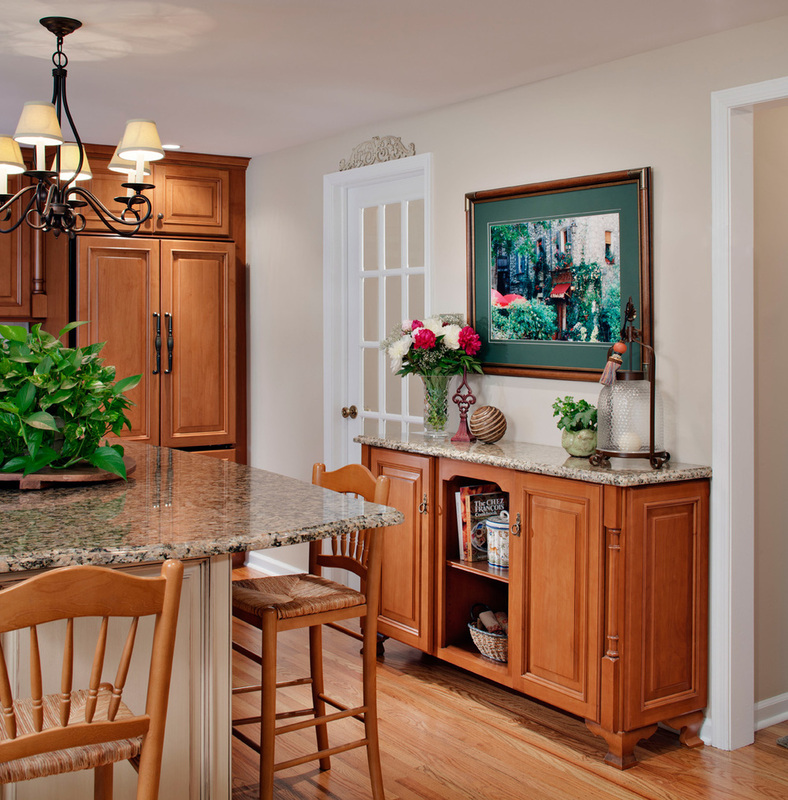 The team at Lang's Kitchen & Bath worked within the limitations of a short ceiling height in this kitchen to create an elegant design featuring a two-tone cabinet look and custom hood. 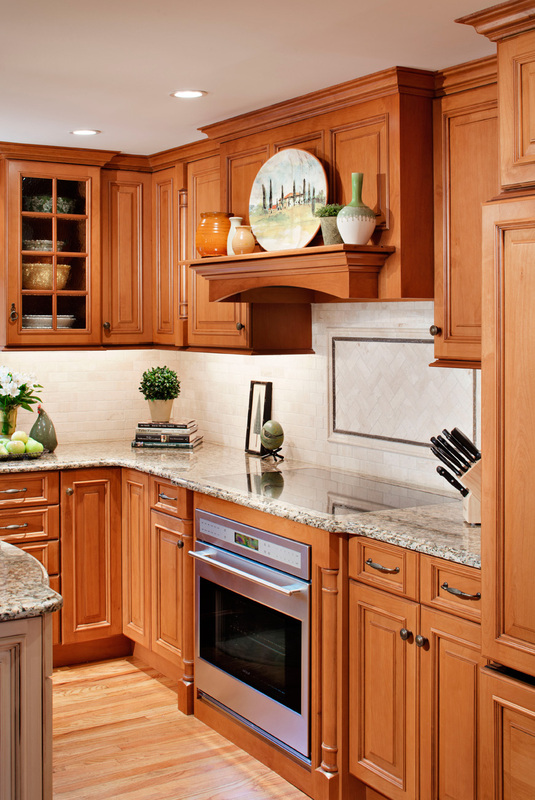 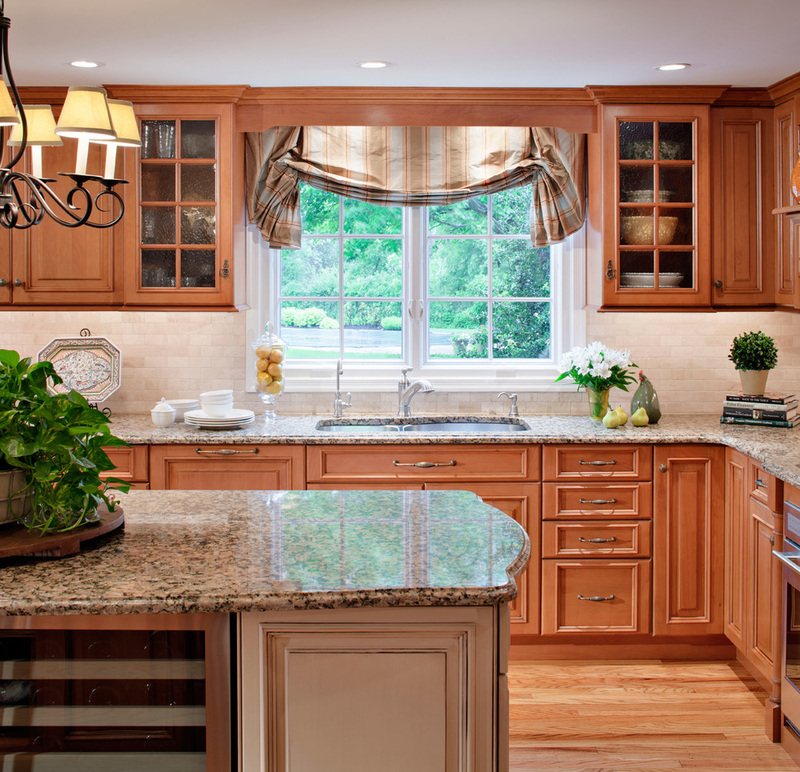 The kitchen also includes a stylish and functional island with a built in wine cooler and custom hutch.